With the W2’s 4.5 Inch FWVGA Screen lets you view all that you want in beautiful colour and clear resolution. The 854 x 840 PPI of the touchscreen allows you to maximise daytime viewing while enjoying night time viewing. And with its sleek design, the Tecno W2 fits perfectly into your palms. Buy the Tecno W2 online from Jumia at the best price in Nigeria. 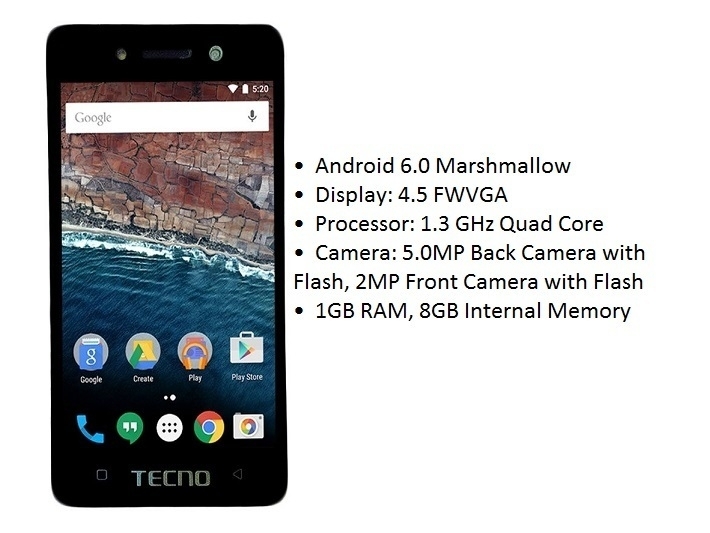 The Tecno W2 runs on Android 6.0 Marshmallow. 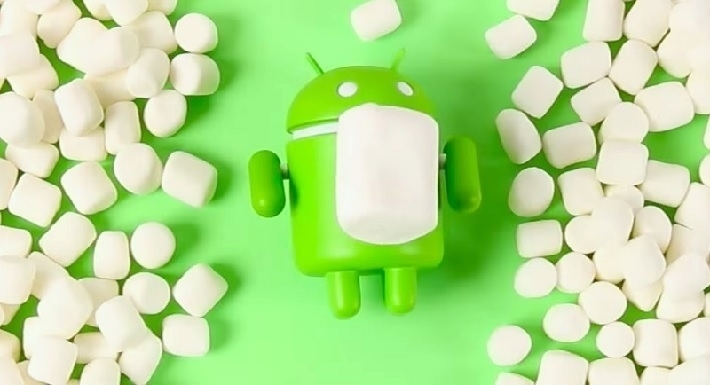 Marshmallow comes with all the Android goodness that you’ve come to know and trust, only even better. With access to over 1.2 million apps from the Play Store, you also enjoy seamless operation, as well as better power management. The W2 boasts a 5MP back camera with dual flash and a 2MP front camera with flash. You can also take pictures in different modes, so your pictures always turn out beautifully. With the Tecno W2’s dual-SIM capabilities, you can enjoy the best of both worlds. Carry both your personal and work phones in a single sleek device. Now you don’t have to carry two phones around anymore. The Tecno W2 is powered by a 1.3GHz quad-core processor. The 1GB RAM and Quad Core processor ensure that you have a seamless experience. Switch from app to app smoothly and multi-task easily on the Tecno W2. And with an 8GB Internal Memory, which is expandable via a microSD slot, you can have more than enough space for the memories that count. Enjoy long battery life with the W2’s 2500mAh battery. With a battery life that lasts up to 2 days, there’s no limit to your connectivity. The extra connectivity options like Bluetooth, WiFi and USB make owning a W2 worthwhile.